WASHINGTON -- A U.S. federal judge on Tuesday granted preliminary approval to a plan for Volkswagen Group to pay at least $1.22 billion to fix or buy back nearly 80,000 polluting 3.0-liter diesel vehicles in the United States over the company's emissions violations. U.S. District Judge Charles Breyer in San Francisco also agreed at a court hearing to grant preliminary approval to German auto supplier Robert Bosch's separate settlement to pay $327.5 million to VW diesel owners in the U.S.
Volkswagen, the best-selling automaker worldwide in 2016, could be forced to pay up to $4.04 billion if regulators do not approve fixes for all 3.0-liter diesel Porsche, Audi and VW vehicles in the settlement. Breyer will hold a May 11 hearing on whether to grant final approval. VW has now agreed to spend up to $25 billion in the United States to address claims from owners, environmental regulators, states and dealers and to make buyback offers. Volkswagen is set to plead guilty on Feb. 24 in Detroit to three felony counts under a plea agreement to resolve U.S. charges it installed secret software in vehicles to allow them to emit pollution up to 40 times the legal limit. VW previously agreed to spend up to $10.03 billion to buy back up to 475,000 polluting 2.0-liter vehicles that have software that allowed them to evade emissions rules in testing. The 3.0-liter vehicles have an undeclared auxiliary emissions system that allowed the vehicles to emit up to nine times allowable limits. VW said Tuesday that it has received claims from 360,000 current and former 2.0-liter owners and has made settlement offers to more than 300,000 owners. The company still faces claims from investors, suits from some states and some owners who have opted out of the class-actions settlement, along with pending investigations by the Securities and Exchange Commission and German prosecutors. 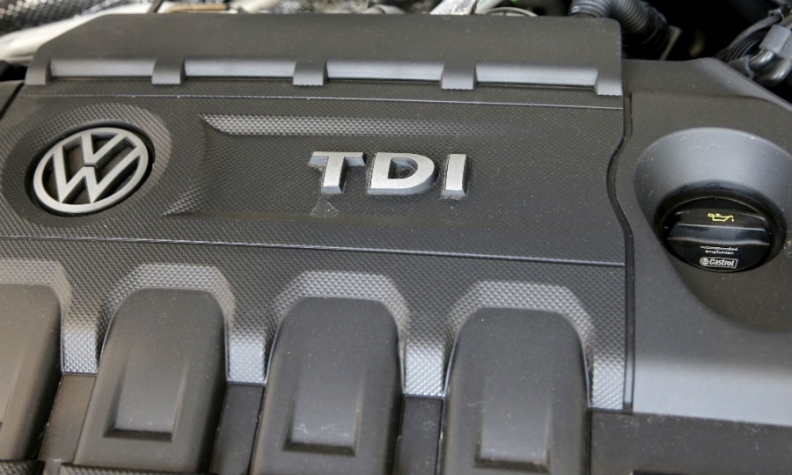 As part of a $4.3 billion settlement with U.S. regulators, the German automaker agreed to sweeping reforms, new audits and oversight by an independent monitor for three years to resolve diesel emissions-cheating investigations. The United States has also charged seven current and former VW executives with wrongdoing.